It managed some very decent numbers on CrystalDiskMark (130MBps transfer rate on read and 84MBps on write) which means that it won't keep you long. At the time of writing, you can only pre-order it via Indiegogo, the crowdfunding platform, and it is scheduled for delivery from March 2019. With a starting price of $59 plus shipping for the 32GB version and $99 for the 128GB, it is reasonably priced although the prices are likely to go up once the early bird offer ends. 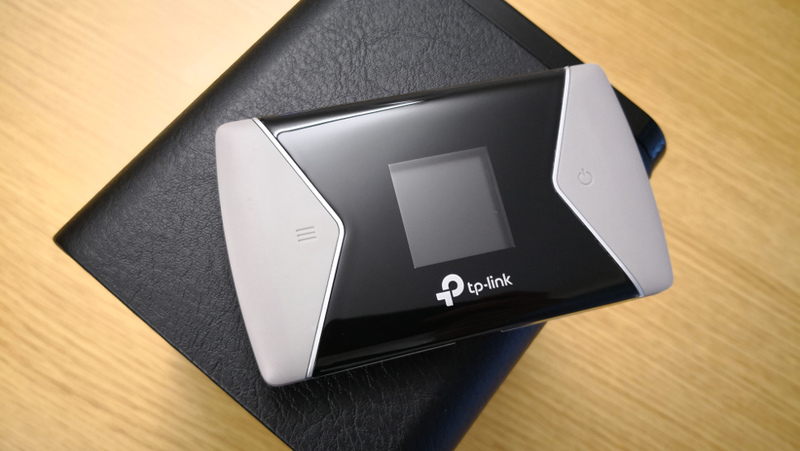 Another option for workers constantly on the go, the TP-Link M4750 offers download speeds of up to 300Mbps, and 50Mbps. That's not enough to reliably stream high-quality media or teleconferencing, but if you need to work on documents or other files, the LTE Cat 6 network connection should be ideal. Our tests found that the device was reliable in reaching these speeds, even in central London, and more than enough to enjoy reliable connections whilst on the move. 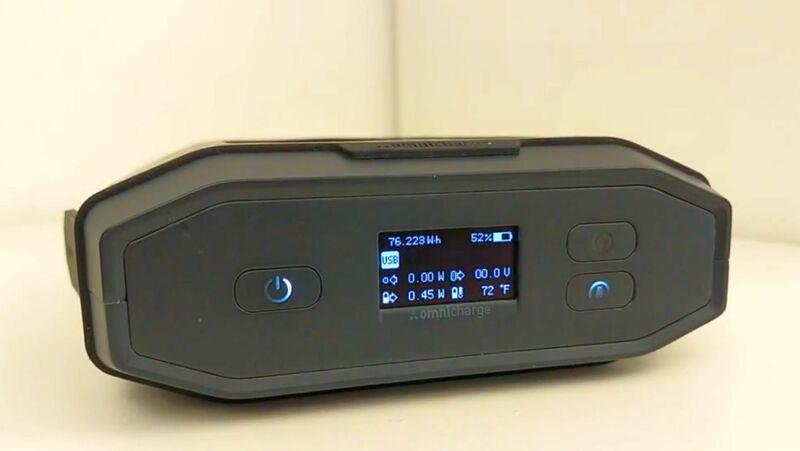 The battery life for the device was excellent, lasting a full working day with ease, as TP-Link says that the M4750 can offer up to 15 hours of juice, and recharging the huge 3000mAh battery is also quick and easy using the microUSB port. The M4750 is also light and portable, being small enough to fit inside a jacket pocket, and its rubber build will help protect from any accidental drops or bumps. Set up is remarkably easy, requiring you to just insert the SIM card and turn on, making this much more straightforward than other similar devices. 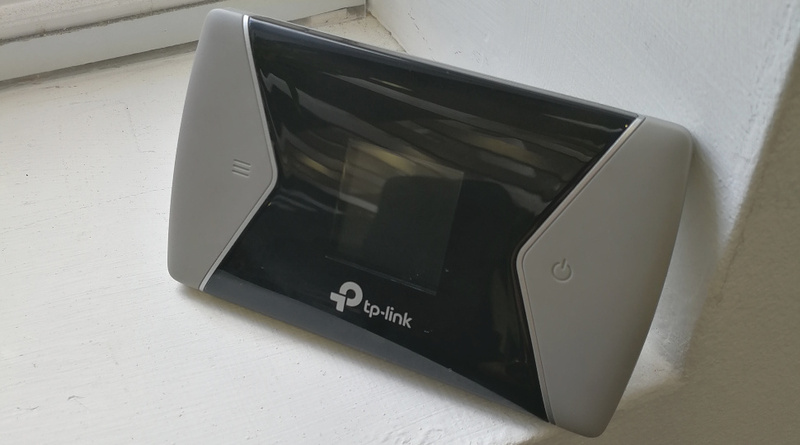 The device can also work as a wireless hotspot, supporting up to 32 devices at once, across 2.4GHz and 5GHz networks, meaning you can set up multiple connections around the home, or even in a small office if needs be - although speeds will drop if you do so. However buying the device in the UK is a bit tricky, as you'll have to go through a reseller to get your hands on one - with prices varying among stores, so stay on the lookout for the best deal. More and more industries are now choosing to use mobile devices in day-to-day operations out in the field thanks to their portability. The FLIR ONE Pro offers a compact and powerful thermal imaging camera than can show up in-depth information about the world around you. Attaching via USB-C, the device clips onto the bottom of your phone, acting as an extension to your normal camera, and displaying heat information on the world around you, with hotter objects showing up in brighter colours (see below). 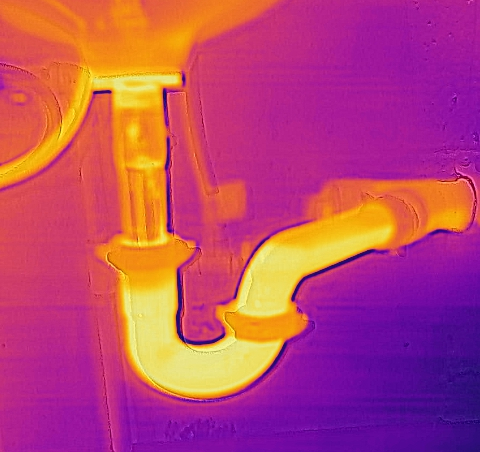 The technology could prove incredibly useful for a number of industries, such as home inspectors looking to find insulation leaks, or electricians aiming to identify an over-heating connection. 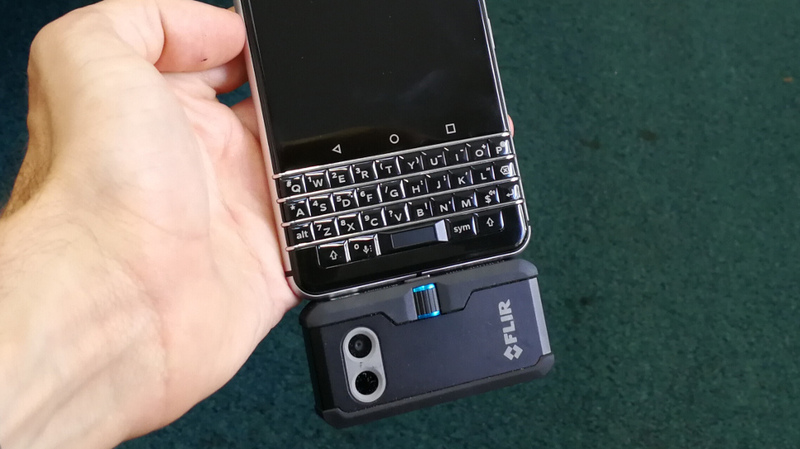 You’ll need to download and register with the free FLIR ONE app in order to start using the device, which is an unneeded extra step for many, but does grant you access to the company’s helplines, galleries and app store. The actual app was often slow to recognise when we had the device plugged in and turned on, however, and sometimes failed to detect it at all, which was slightly annoying for us, but for a worker in the field could be a major hindrance to getting your work done. Battery life is also not very long, with our tests only finding the device lasting just over an hour, although re-charging was a speedy process. If you’re out working in the field with a cable though, this could be a major downside. The FLIR ONE Pro also doesn't come cheap, costing £349.95 in the UK, but it could prove invaluable for workers in such specialised areas, and is definitely worth your consideration. TP-Link says that the M7650 is the fastest Wi-Fi router it has ever made, offering speeds of up to 600MBps, which is easily enough to stream video to your laptop or tablet whilst on the move, as well as high-quality VoLTE audio through your phone - useful if you don't want to miss that conference call. Our tests found that the device often reached speeds of over 500MBps, which is impressive for central London, and more than enough to enjoy reliable connections whilst on the move. The M7650 can support up to 32 devices at once, meaning you can set up multiple connections around the home, or even in a small office if needs be - although speeds will drop if you do so. Set up is remarkably easy, requiring you to just insert the SIM card and turn on, making this much more straightforward than other similar devices. Battery life for the device was excellent, lasting a full working day with ease, as TP-Link says that the M7650 can offer up to 15 hours of juice, and recharging the huge 3000mAh battery is also quick and easy using the microUSB port. The M7650 is also light and portable, being small enough to fit inside a jacket pocket, and its rubber build will help protect from any accidental drops or bumps. However buying the device in the UK is a bit tricky, as you'll have to go through a reseller. This means you'll also need to be on the lookout for differing price options, but if you get the right deal, the M7650 is a must-have. We love our smartphones so much so that we carry them all the time even at our work, prompting businesses to consider shedding regular landlines and simply embrace the BYOD (bring your own device) paradigm. Which is why it is so surprising that few companies have come up with a product like the Invoxia NVX200. In a nutshell, this £209 device converts/transforms your smartphone into a desk phone with a Bluetooth speaker and a charging dock thrown in. It comes with a bunch of connectors and adaptors to connect most smartphones. Most Apple devices (including the iPod, iPad and iPhone) are supported, as are the latest Android smartphones, thanks to a USB Type-C port. A clever adjustable stand means that any device will sit snuggly on the NVX200. Connect the device via Bluetooth to the latter, put your smartphone in place and you’re ready to go. Hold down the voicemail key bring up the settings and you will be able to configure the device to your taste, down to the ringtones. Outwardly, it looks just like a normal desk phone, with lots of curves, a soft surface and a handset with a cable that’s sufficiently long for the user to stand up. Setting it up is straight forward: connect the device to a power socket, dock your smartphone, connect it to the NVX200 via Bluetooth and you’re ready to go. We did encounter some issues though. The test smartphone, a Sony Xperia Z3, has a micro USB port located on the side rather than at the bottom of the device. To make matters worse, it is not anywhere near the middle which makes it impossible to dock in landscape mode. Things got a bit more complicated when you factor in the casing used to protect it. Altogether a wireless solution, which integrates no-wires charging, might have been a better solution but would have restricted its appeal. We couldn’t get the speaker to play music wirelessly but it did somehow play music via the micro USB connector but only, and only if Bluetooth is disconnected. Fed up with losing your connectivity when out and about? Then check out the Multivox Multisim. It is a service that allows access to multiple UK mobile networks from a single SIM card. No need to swap tiny pieces of PCB or opt for a sub-optimal dual-SIM smartphone to eliminate the issues associated with poor connectivity, especially when you are out and about. The technology works on almost any recent smartphones and feature phones and doesn’t need a dedicated app. If there is no coverage on the primary access network, then your phone will search for another available UK mobile network and if there is one available, it will connect to it. If there are multiple networks available, then it will pick up and run on the network with the strongest signal. The Multisim works without having to manually select a different network to switch to and you get to keep your phone number regardless of the network. The only caveat is that a call will drop when the network being used loses coverage altogether; there is no “incall” switching. You get unlimited UK calls to mobiles and landlines as well as unlimited texts, all courtesy of EE’s network. Four data packages are available, ranging from 2GB (£29.40) to 10GB (£41.90) excluding VAT. The packages can be configured at Immervox. There are a fair few solutions available for digitally-savvy globetrotters looking who whiz across the globe for leisure or pleasure. We might have uncovered one of the best ones yet. From Knowroaming comes a global hotspot that uses a Novatel Wireless Mi-fi, the 6630, and can connect you up in more than 140 countries with 92 of them offering unlimited data for a flat fee of $7.99 per day (about £6.40), a price that even include free, unlimited Whatsapp. We tried it during a recent trip to Japan where the cost of connectivity is prohibitive and international data roaming is a no-no unless you want to spend hundreds. The Mi-fi device comes in a nice pouch with a few accessories; we just took it out and used it for a few days. It is sturdy enough to withstand a few knocks. The 6630 is about the size of a Tic-tac box and its user interface is intuitive with only three buttons and a small screen on its front. On top is the power button as well as two USB ports, one for charging up and the other to provide power to external devices. Inside the 6630 is a 4,000mAh battery that can power the device for up to 20 hours. It is compatible with Cat4 LTE although KnowRoaming only supported 3G for now and an LTE offer is in the pipeline. In use, the service was as seamless as it could be. Switch it on and connect to it using the provided login details. Note that you can’t change these from the device itself; that can only be done by accessing the device via a browser. 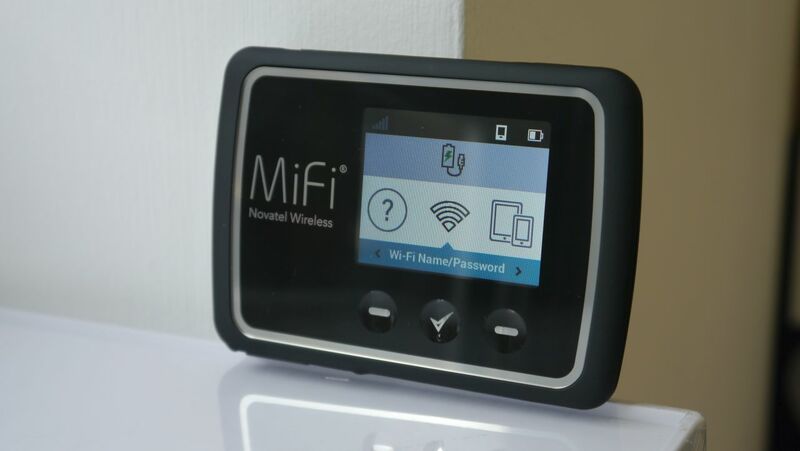 Various options exist on the Mi-fi device including the ability to set a number of restrictions, the ability to view your consumption, the number of devices connected at any time and the battery life left. The 6630 supports dual-band 802.11n Wi-Fi but no 802.11ac. Since this is primarily marketed as a business device, it comes with a number of security features including VPN pass-through, NAT firewall, security hardened web interface, Anti-CSRF (Cross-Site Request Forgery) and session timeouts. Sadly though you won’t be able to buy a consumer version of that yet. Instead, the device is only being sold to corporates for $199 (about £160) with discounts being offered for multiple purchases. As it stands, the service is meant to be managed centrally by an administrator or IT manager with an entire backend, cloud-based infrastructure provided by KnowRoaming. Suggested improvement to the Mi-fi device would include a thinner, more pocketable model, support for 802.11ac, the inclusion of a microSD card reader and having a smartphone app to allow you to access admin essential information from your smartphone, rather than through a browser. If you've ever been stuck for mobile signal when travelling to a new country, then the NUU Konnect i1 could be the gadget for you. Able to provide 4G connections in over 100 countries, the i1 looks to offer a simple, portable way to get online wherever you are in the world. Most current mobile hotspots are only able to connect to 3G networks, so the Konnect i1 already has an advantage there, thanks to its LTE Cat 6 Qualcomm modem. 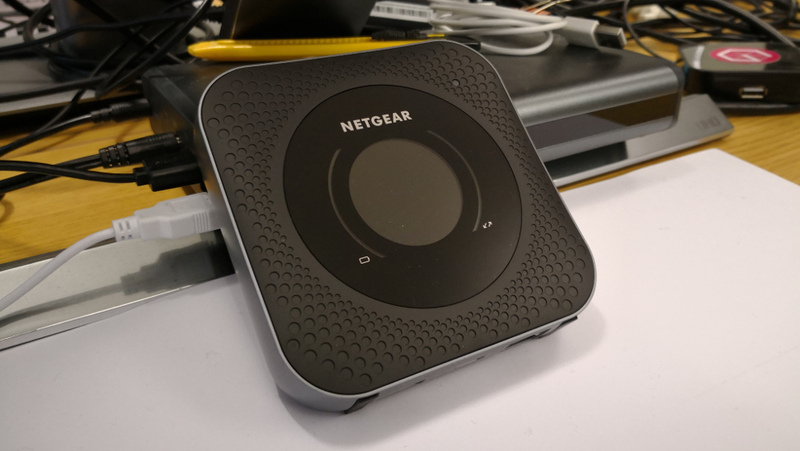 The device supports VPNs and Wi-Fi calling, and is equipped with LTE bands 1/2/3/4/5/7/8/17/20/39/40/41, meaning there's a wide range of possible connections. NUU Mobile says that it is trying to target frequent travellers with the Konnect i1. 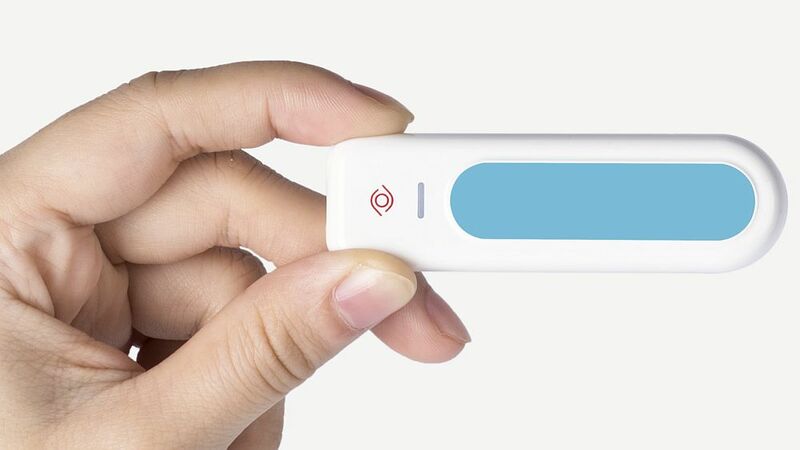 The device itself is small enough and light enough to easily slip into your pocket, and is able to power up using its microUSB port. Setting up is easy enough, with the capacity to connect up to five devices at any one time. What's more, you'll only play a flat rate of $10 a day to use the device as much as you want, with no contract or sign-up fees. However, after the first 500MB of data, you'll be dialled back to HSPA+ networks for the next 500MB you use, and then down again to just 128Kbps speeds for anything more than that, unless you spend more for further LTE usage. For the moment, you can only get hold of the Konnect i1 if you backed the product on Kickstarter, with news of a wider release not available just yet. 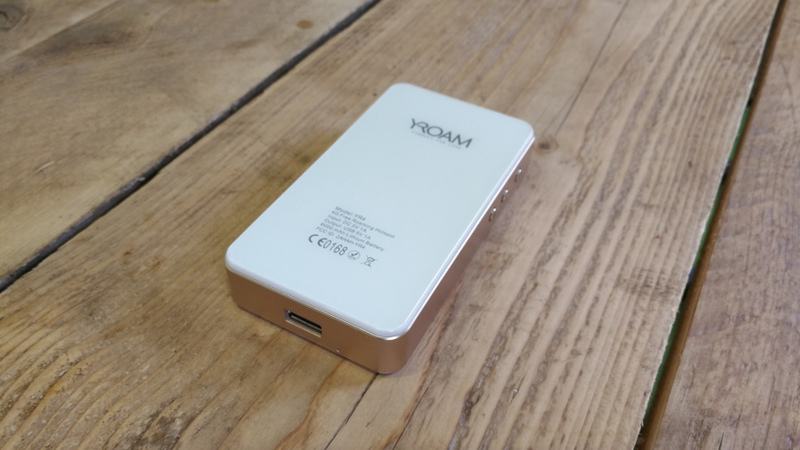 If you're in the market for something a bit more heavyweight when it comes to your 4G roaming needs, then you may be interested in the YRoam YR4. YRoam's services are available in over 100 countries worldwide, including popular business travel destinations such as the USA, Singapore and France. Simply select one of the company's price plans, starting at 5.9p per MB when you buy a 2GB worldwide package. If you're only travelling to one location, YRoam also offers a UK, US or EU specific package, lasting for 30 days. Any data usage you purchase can be used either on a PAYG basis, or the ability to top up later. YRoam also offers discounted rates for connections in your home country, say if you're out in a remote locations not served by your current provider, starting at just 3p per MB. You can connect up to five devices at any time, meaning you could have a laptop, phone, tablet and more all online at once. The device features a huge 6,000mAh battery, although this does mean that you're stuck with a fairly heavyweight build. However this means that the device doubles up as a power bank to recharge your devices in case of an emergency, with a USB and microUSB port to connect up. Overall though this is a sturdy hotspot that should serve you well wherever you are in the world. If you've just started your own business, or need to work from home often, having a flexible and reliable technology set-up should be one of your top priorities. In order to keep you from wasting time setting up complex systems, teleconferencing experts GoToMeeting have you covered with an all-in-one box of tools that should allow you to get up and running quickly. The pack contains an Asus Chromebox PC, Logitech wireless keyboard, Logitech 1080p HD webcam and a FLX UC 500 conference phone from Revo labs - pretty much everything you need to get started. The products have all been specially selected to work seamlessly together, meaning most of the usual set-up process can be sped through quickly and easily - even if you're not particularly tech-savvy. Setting up your new kit can be done in a matter of minutes - all you need is a monitor to hook the PC and webcam up to, with all the rest of the hardware able to just plug and play. The tiny Chromebox PC is incredibly powerful for something so small (at just 12.4cm wide and 4.2cm tall), coming with a powerful 1.7Ghz processor, 4GB of RAM and 16GB storage, making it a great choice if you are strapped for space in your office. The PC also features 4 USB ports alongside DP, HDMI and LAN connectors, offering everything you should need to get started. 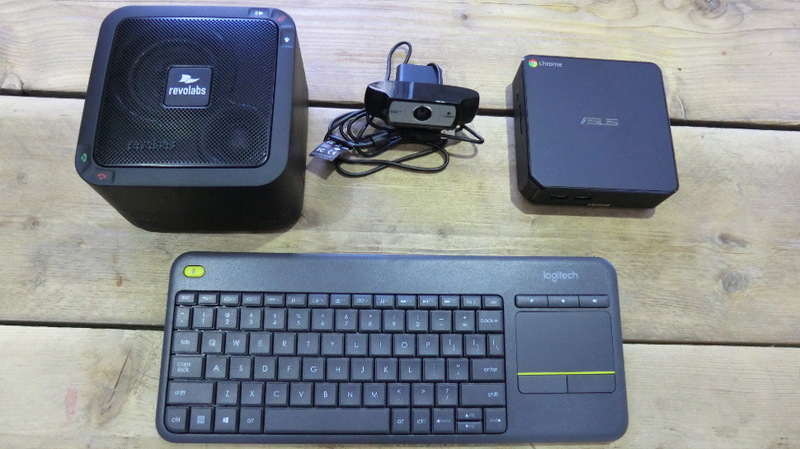 Space saving is also helped by the Logitech wireless keyboard, which connects to the Chromebox via USB tracker, and also includes a trackpad in place of a mouse. If you do prefer using a physical mouse, you'll have to splash out on a separate piece. All the devices work together quickly and easily, meaning you'll be able to start working, calling and even videoconferencing in no time. The webcam is once again surprisingly powerful for its size, offering a smooth video experience, although we did see some slowdown in some cases. The only minor downside is the need to buy the entire package, meaning that if you only need a conference phone, or a compact PC, you may be better off buying these separately. At the time of writing, the kit is only available to buy in the USA, costing $999, with a subscription fee of $99 a month, making it a fairly pricey proposition - however if you're already an existing GoToMeeting customer, it can be built into your current subscription. As many jobs require more computing power, the need for extra connectivity is also becoming a common demand among workers. 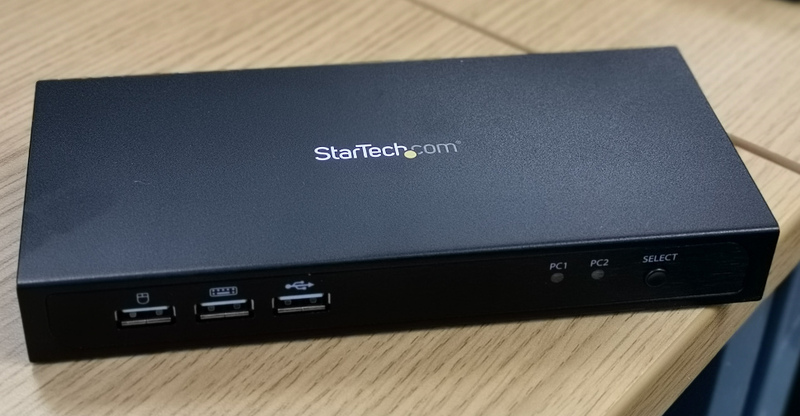 StarTech's latest hub allows users to connect two PCs, allowing for multi-hardware and screen access all from a single source. The hub supports two Mini DP PC connections, and resolutions up to 4K AT 60Hz, making this ideal for designers, animators, or other graphics-based roles. Switching between the two connected PCs is as simple as pushing a button on the front of the hub, and users can also set up hotkeys to make usage even easier. As well as the PC connections, there are three USB 2.0 ports on the front, including a dedicated mouse and keyboard slot that offers plug-and-play support for Windows, Linux and Mac accessories. The hub is also small and light enough at 845g to be carried around in a laptop case or backpack, making it an ideal partner for those moving around different locations. If you're someone who travels for work a lot, staying powered up on the move may often prove a challenge. Although power banks for mobile devices have been popular for some time, anyone looking for a laptop equivalent could be caught short. However Orico's new SC28 offering provides a huge capacity that should be perfect for staying charged up on a trip. With a capacity of 28,800mAh, the SC28 provides easily enough juice for even the thirstiest laptops, which can be quickly recharged via USB or power socket. The latter features a number of adaptors for different markets, meaning you should never be caught short, with Orico promising five hours of life for a 13in laptop. The SC28 can charge up to three devices at once, meaning you can power your laptop, phone and router all at once for the ideal mobile working solution. The device itself looks stylish, with a sleek aluminium alloy body that weighs in at just under 1kg, but should still easily slip into a rucksack or laptop bag. In modern busy offices, it can be tricky to get some quiet - particularly if you’re trying to carry out a conference call or video meeting from your desk. 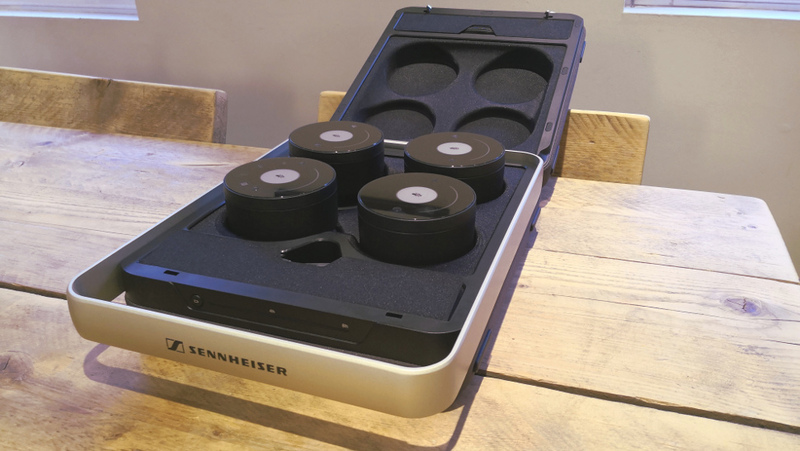 Sennheiser, which is perhaps better known for its consumer headphone line, is looking to address this with a new headset targeted at business customers. 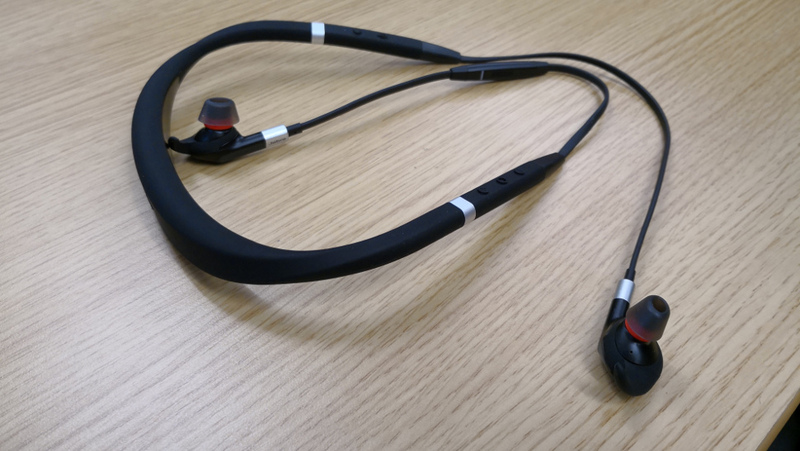 The MB 660 may resemble normal ‘cans’ style headphones, but in fact can act as a Bluetooth-enabled wireless headset, allowing you to use them as a meeting accessory in today’s UC-dominated workplace. 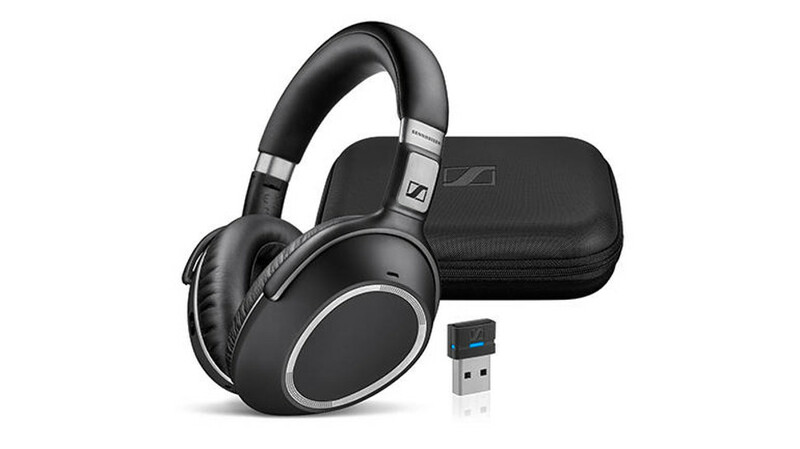 As you would expect from a brand such as Sennheiser, the audio quality is excellent, whether that’s with a voice call, watching video or even listening to music. This is complimented by the noise-cancelling ability of the headset, which comes with three separate settings that allow you to select your level of isolation. This high-standard audio quality does come at a price, but if you value your calls and media, it may be worth shelling out. The headset comes with its own stylish and compact carry case, which also house the charging cables and USB connector. Battery life was excellent, with the headset not needing a recharge during our week-long test - and when we did plug it in, recharging was quick and effective. If you're looking for a slim and stylish accessory to help guide you through your presentations, then Logitech may have just the tool for you. The company has released a new edition of its Spotlight presentation remote, promising "a whole new standard" in presentation control. The new product offers a stylish minimalist design made out of polished metal, weighing in at just 49g, with the slim build meaning it sits nicely in the palm of your hand. Three programmable buttons on the front giving you the opportunity to control your presentation however you like. 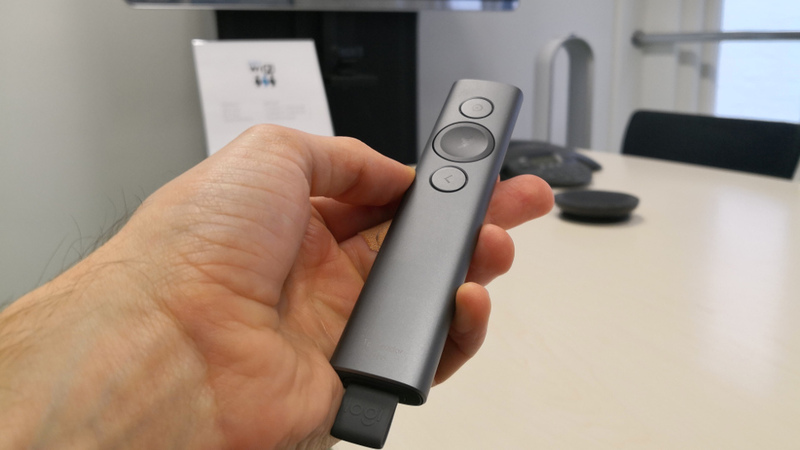 The remote is able to highlight and magnify certain areas on screen, allowing you to focus on specific items or points, and has a range of up to 30 metres for those grander presenting occasions, connecting via Bluetooth to your Windows, Mac OS, Chrome OS or Android device. It even comes with a timer, which can show how long you've been speaking for and vibrate to tell you if you're about to run over your allotted presentation time. Battery life is substantial enough to last you through a working day, and is quickly recharged. The only downside is the price - at £119.95, it is quite an expensive option, but if you're looking for an effective and stylish presentation helper, this is the tool for you. If you thought that the era of writing stuff down using pen and paper was dead, then Moleskine is here to prove you wrong. The iconic notebook provider, well-known for its leather-bound pages, is embracing the technology world with its new Smart Writing Set, which it says combines the pleasure of writing with pen and paper with the ease and speed of editing offered by modern word processing software. The kit consists of a smart Pen+ tool, which, when used to write on the accompanying 'Paper Tablet', will also display what you are writing on an accompanying phone or tablet device. Connected via Bluetooth, your device, boosted by the Moleskine Notes App, then allows you to record and edit your scribblings, meaning you can add extra colour, highlights and more. The app, which is available on iOS and Android devices, stores all the writing done in your Paper Tablet, meaning you can delete or move pages across devices, and even sync using your Google Drive or Evernote account. As for the kit itself, it resembles your traditional writing tools, with the Pen+ taking after a standard fountain pen - albeit with a hidden camera by the nib which traces and digitises everything you write. The Paper Tablet is slightly thicker than a usual Moleskine, but features NCode technology embedded in every page to allow the Pen+ to pick up your writing or drawing. All in all, the device works well - once you're registered on the app, using the Pen+ is smooth, and the data transfer is effective, even if like us, you aren't particularly artistically-minded. But whilst this is clearly a clever product (and at £199, a premium one too...) there remains a slight nagging question about what it's trying to achieve. 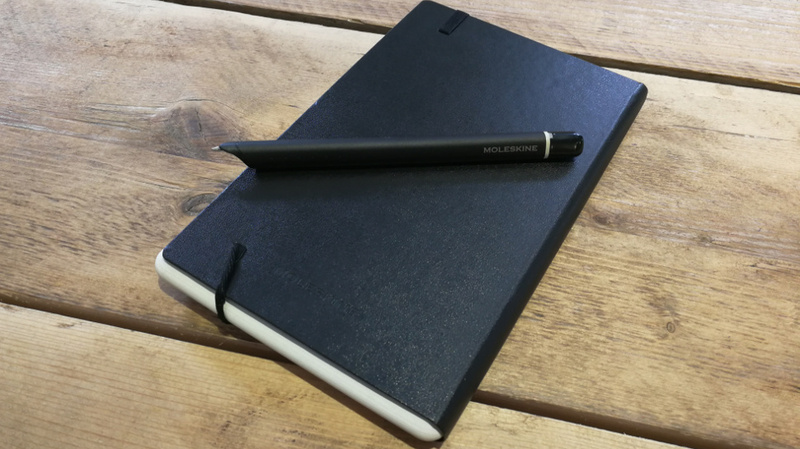 Those of us used to writing with a pen and pad will find some advantages, most notably the chance to edit and remove notes, but with tablet devices and lightweight laptops so commonplace today, it still seems like an odd choice of platform for Moleskine. The idea behind the F3 is a simple one: provide with a stand that simplifies and organises a desk while maintaining a clean, functional style, without an expensive price tag. Satechi achieves it with this product which packs some interesting features on top. It has two, rather than one, preset height options thanks to a pair of sturdy aluminium legs with rubber pads. Physically, it is a fairly big slap of plastic (550 x 231mm) available either in white or anthracite. Plastic usually infers flimsiness but there wasn’t any in sight. This is proper solid stuff. The aluminium legs slot in within seconds after the shorter, permanent ones are deployed. 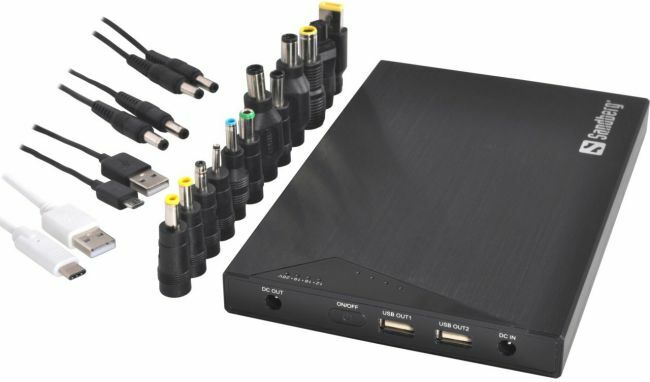 There’s plenty of connectivity as well; four front facing USB 3.0 ports plus headphone/microphone ports with long cables to connect to your PC or laptop. It doesn’t require power as the ports are essentially passive ones. The F3 took the weight of a 27-inch monitor without flinching and there are reports of customers using it with a 34-inch behemoth. You will be able to put items weighing up to 11Kg on top. There’s enough clearance (about 30mm) underneath the actual plastic stand to slot in a keyboard. Adding the aluminium feet adds another 50mm. A few more USB ports or a smartphone stand might have been useful together with a couple of extra height options. There’s also the fact that a more premium material like glass or aluminium might have been a better, albeit more expensive, option. A few vendors (Acer, Lenovo) have tried to deliver laptops with dual displays but these proved to be niche products with high prices and they were commercial failures. 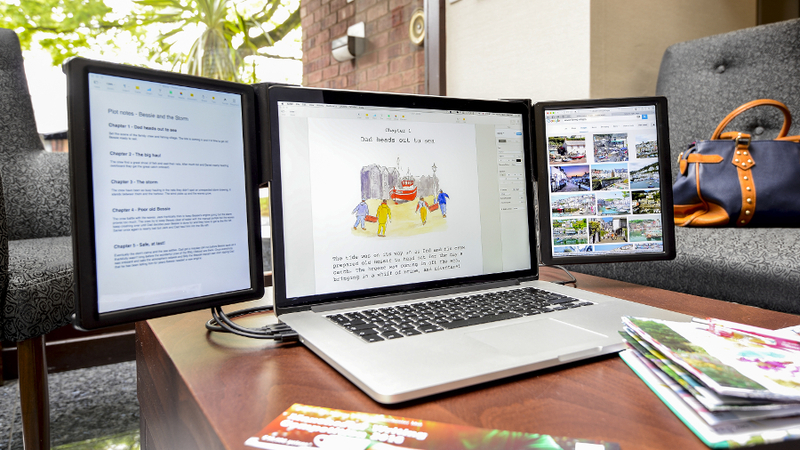 Enter PackedPixels (£149 each, about $194, AU$252), a deceptively straightforward product from Dovetail Technology that brings multiple displays to laptops with one big caveat. Your laptop will need to be equipped with a DisplayPort or Thunderbolt 1 or 2 ports. Newer Thunderbolt 3 ports won't work even with an adaptor, and obviously older ones like HDMI, DVI or VGA are out of the picture. Note that you can use a USB 3.0 to DisplayPort converter according to the manufacturer. That is what you will have to do on non-Apple laptops. 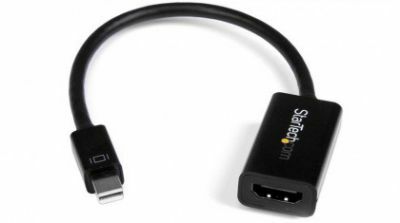 If you have a DP or a TB1/2 port (Dell XPS 13 first generation, MacBook Pro etc) then using the bundled universal adaptor, you will be able to connect either one or two displays, each of them 9.7-inch in size and with a resolution of 2048 x 1536 pixels. That's a 4:3 aspect ratio, something that works well in cramped spaces and is actually the same screen as the iPad Retina Display. The designers made the right decision to hide the connecting ports (DisplayPort and USB) where the stand is supposed to slot. Bear in mind that using two extra screens will eat up your battery faster, although, as Dovetail technologies suggests, you might also use a mobile phone adapter or an emergency power bank (like the Aukey 30Ah) to help out. Given the connector, you won't need any additional driver installation for any operating system. The screens are automatically adjustable and can be used in portrait or landscape mode. 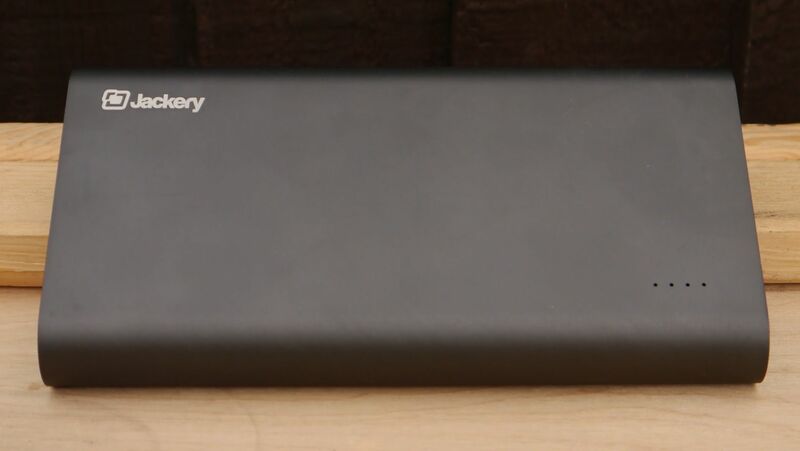 Jackery is a little known company that focuses - like so many out there - on producing portable laptop and smartphone chargers. Its flagship product is the massive PowerPro, a 500Whr/140Ah Portable Power station rechargeable battery pack, The Jackery Titan S is a portable battery (72.4Whr) that can not only charge your mobile or tablet but also, according to its manufacturer, the popular Apple MacBook laptop. We didn’t have one at hand to test that claim sadly; note that it is also available in orange which for some reason has a lower capacity. Its black metal aluminium casing ensures that it will survive more than a few drops and it does feel very solid. Shame though about the sharper-than-usual edges on both sides and we’re not fans of the curvy profile of the Titan S as this caused it to slip a few times. 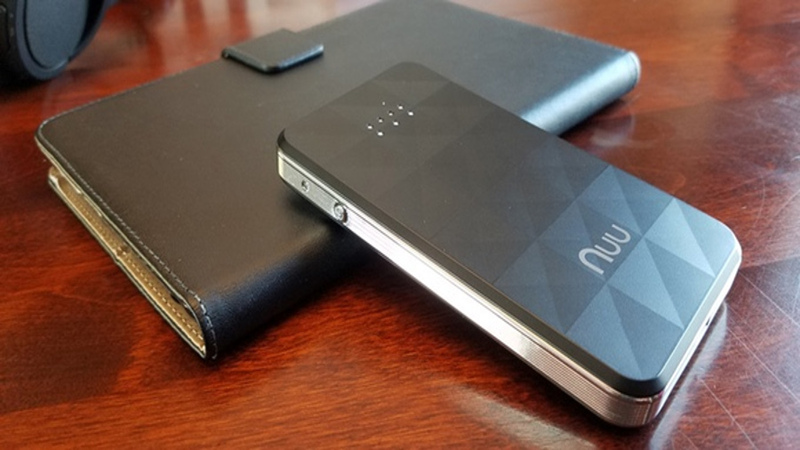 This is a portable charger/battery pack so don’t expect too much innovation; it doesn’t switch off automatically but does identify the connected device by itself, charging it at the maximum permitted power. Other than a big power button and a 4-led battery status indicators which means you will never really know when the item will be fully charged when you reach four blue dots or discharged when it shows one blue dot. There are two full size USB ports - a 15W one (5V, 3A) and an 18W one (supporting variable voltages thanks to Quick Charge, up to 3.4A) - and a USB Type-C one that can deliver 15W power (5V, 3A); the latter can also be used to charge the battery. At 155 x 80 x 22mm for a weight of 435g, it is a tad smaller (volume wise) and lighter than the Aukey Powerbank although the latter has a far superior capacity (30Ah compared to 20.1Ah). The Jackery Titan comes with a micro USB charging cable and a two-year warranty but no carry case. The item is out of stock in the UK at the time of writing. This printer is not for everyone. It is slow, expensive to buy and to maintain, and it is not even wireless! But then not all printers can list on their spec sheet that they're the world's lightest all-in-one printer, one that can not only print (obviously) but also scan and copy. 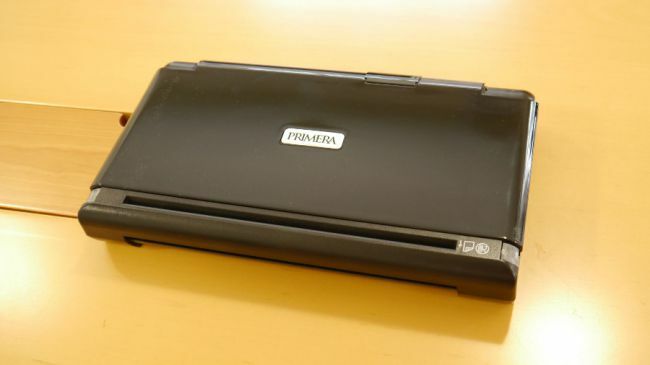 The Primera Trio uses only a normal microUSB cable to charge and to connect to the host computer, and unlike most of the competition, it is truly portable (as in it has a battery inside) and boasts a smaller footprint than most laptops. Outside of this nifty gadget, you'll be hard pressed to find a compact device that you can take with you to print important documents that need immediate signatures (or at least draft copy). The scanning capability is not a big deal – you can always take pictures instead – although with the Trio, you will be able to do copies fairly easily. Home working can often be a battle for space within a fairly cramped environment, so wireless accessories have become more and more popular in the past few years. 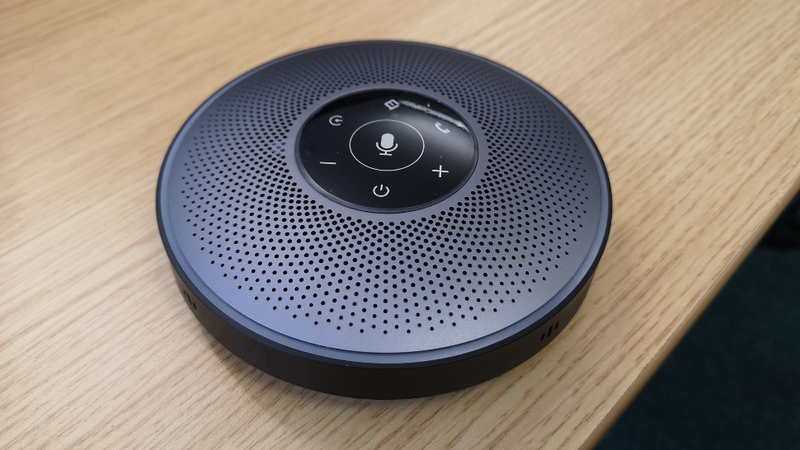 The Gyration Air Mouse Voice looks to take wireless mouse technology one step further, offering flexible use cases from the desk to the boardroom and beyond thanks to the power of voice. The device, which costs $99, is able to act as a typical desktop mouse, connecting via Bluetooth, but thanks to in-built microphones, can also double up as an in-air meeting pointer, where it can work with voice recognition to skip through slides. The voice commands can also be used to zoom in on specific details in a slide, and even open up your web browser - all activated just with a push of a button. Asides from the voice control, the device can also be used as an in-air mouse, allowing to to navigate around a companion PC or laptop whilst in use, which could be super handy for launching new documents or finding specific details. Set-up is quick and easy, with no special drivers needed, and each of the three device buttons able to be programmed to specific commands via a desktop app. 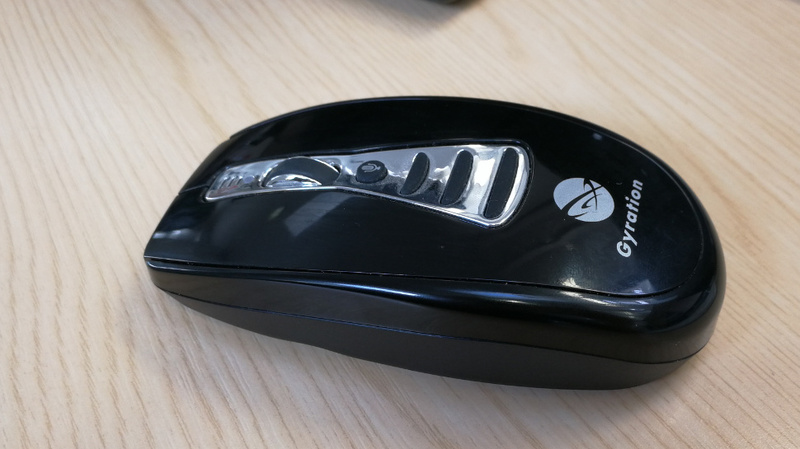 The Air Mouse voice has a wireless range of 70 metres, meaning it’s ideal for both the boardroom and the conference hall, and works with both Windows and OSX software. The mouse itself may not feel particularly premium, with a rather fragile-looking plastic finish, but if you need to give presentations on a regular basis, this could be an ideal product to take your work to the next level. Your daily meetings might be about to get even more interactive thanks to the GoTouch pen from Anyractive. Comprised of a wireless pen and camera unit, the device is in theory able to turn any wall, table or even floor into a display that can be written on. The GoTouch works by connecting to a smartphone or Windows PC connected to an external display, which is then broadcast to your surface of choice. Unfortunately setting up the device is quite fiddly, requiring a separate app download before you can start projecting. Linking to your Android or iOS device is then done by Bluetooth, which is rather spotty, and means connecting your display and smartphone to the app, which can take some time - not ideal if you quickly need to start a presentation. Once we did get the GoTouch operational, the pen was largely successful when writing, but did cut out several times. As a pocket-sized projector, however, the GoTouch camera was rather more successful. Battery life was good, with the camera staying operational for several hours of broadcast, and recharging speedily via USB, however the pen is powered by physical batteries, meaning it might need keeping an eye on in case of embarrassing power failures during a presentation. 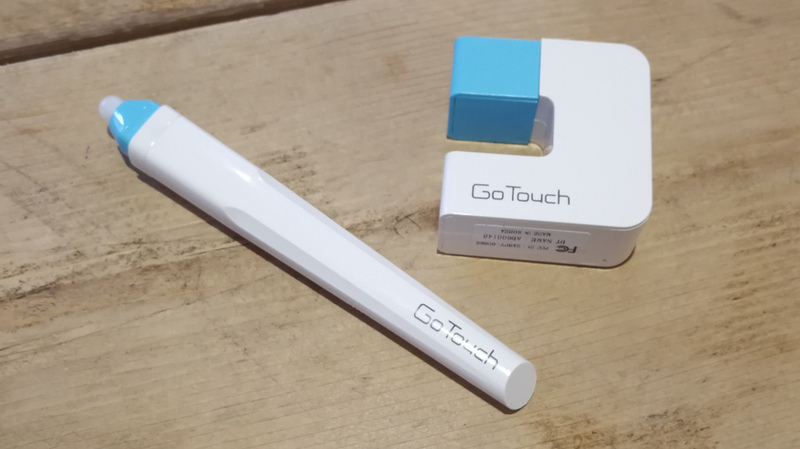 Ordering the GoTouch may also be a bit tricky unless you are fluent in Korean, with the company’s online store not offering an English-language version just yet. This also means we have no idea how much it actually costs, as although Anyractive’s Kickstarter page (which says the GoTouch costs $89) smashed its initial $300,000 target, the device is yet to start shipping. Overall, the GoTouch is a great idea, but one let down hugely by setup problems. Monoprice's latest 27in monitor looks to offer a premium display without the high price, and for the most part, it succeeds. 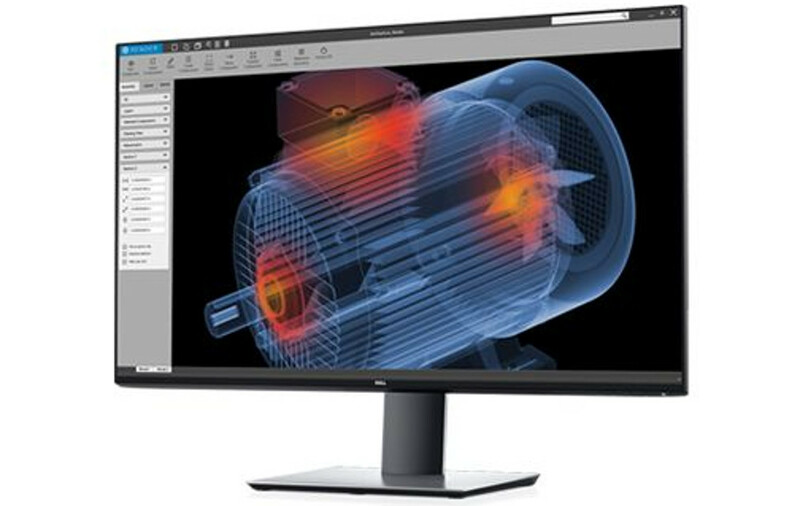 The Monoprice 18545 comes with a 27in LED backlit IPS display sporting a 16:9 2560x1440 maximum resolution - equating to 1440p. This does mean it isn't 4K-equipped, however our tests showed the display to perform well with HD video content as well as regular day-to-day use. The device comes with 178° viewing angles and the company's Pixel Perfect guarantee, which promotes the wide range of colours. Thanks to a flexible rear hinge, the device can also be angled for your viewing preference, with a tilt range from +15 to -5 degrees, which can be useful if you sit near a window. 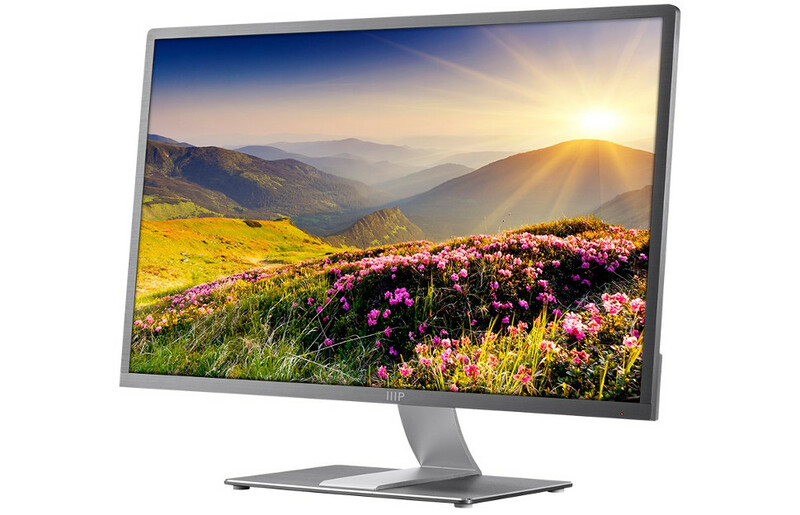 The monitor comes with an incredibly slim build which is just 2.1in thick, meaning that the screen should easily fit into most workplace desktop environments - and the metal base is pleasingly solid, meaning you shouldn't be able to accidentally knock it over. The polished grey metal design of the Monoprice 18545 should help blend in to your home or office, but be warned though, the corners of the aluminium build can be remarkably sharp if you catch it unexpectedly. The rear of the display was also quick to warm up quite alarmingly on several occasions, although this did not appear to impact performance. Given that it isn't 4K-ready, the $279 price tag for the Monoprice 18545 is certainly reasonable, however if you are looking for a truly top-of-the-range offering, it might be worth spending a little more money elsewhere. Keeping workplace data safe is a major consideration for many workers, and the Aegis Secure Key 3Z features one of the toughest alternatives around. 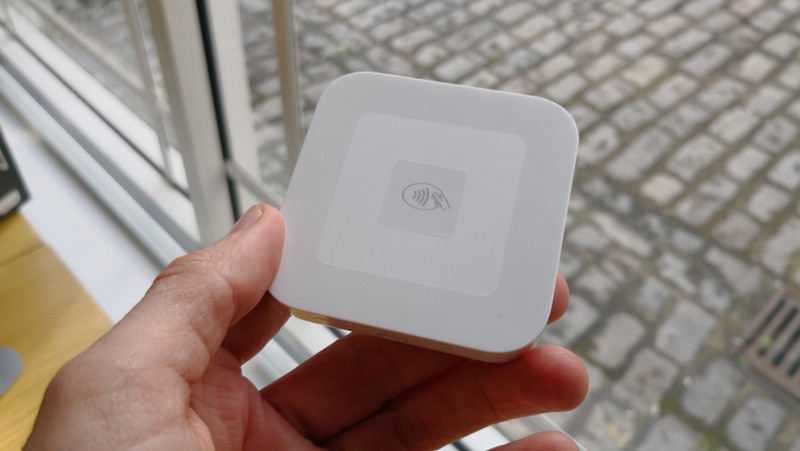 Primarily targeting those workers who are out and about a lot, and also want to keep their valuable information secure, the device is equipped with a physical keypad to protect what's inside. Despite only being the size of a regular USB stick, the Aegis Secure Key 3Z is one tough cookie, able to stand up to almost any work environments. The rubber exterior, which is IP58 protective against dust and water, safeguards a rugged aluminium build inside and out, meaning that there is no easy way to break into this device. The Aegis Secure Key 3Z also features top-of-the-range encryption that meets government standards alongside the onboard keyboard to enter a custom PIN and access the data within. Despite all this protection, setting up and using the device is fairly straightforward, not requiring any extra software or complex processes, with all the protection contained within. 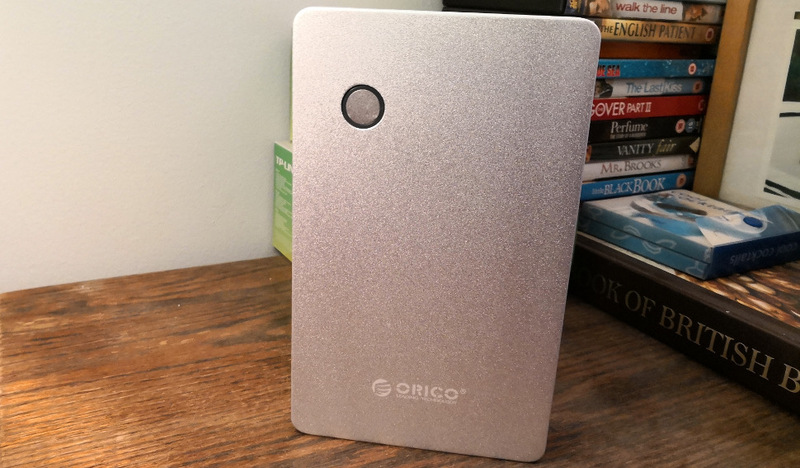 In fact, the only downside appears to be the high price - at $79 for the 8GB model we reviewed, this is a far pricier alternative than other devices around today. But if security is your number one concern, then this is the storage device for you. With data security becoming paramount for many of us these days, the diskAshur Pro looks to offer a comprehensive security offering to ensure your important data stays intact. The key selling point of the diskAshur Pro is its obvious physical security - the device comes with a keypad that will only grant access to the data stored within upon entering a PIN number. Far from your usual ATM PIN number though, the device requires an identifier between seven and 15 digits, offering far tougher security, with the number able to be quickly personalised and changed, in order to keep your data safe. Asides from the physical security (which extends to IP56 water and dust resistance and even a self-destruct feature), the diskAshur Pro also comes with some enviable encryption, sporting XTS-AES 256-bit real-time full disk hardware encryption and EDGE technology to offer even more levels of safety. This version of the drive offers 500GB of storage, which should easily be enough to store all your vital documents, media and more, and connects to your PC or laptop via a standard USB 3.1 port. The diskAshur Pro works across all major operating systems, including Windows, Mac, Android, iOS and Linux, and requires no extra additional software to be installed, meaning using the device is incredibly easy. Getting hold of the product may be the main issue with the diskAshur Pro, with the company manufacturing and selling many other models of the device on its site. We found this particular model for sale on Amazon for £211.96, and on iStorage's own site for £209. 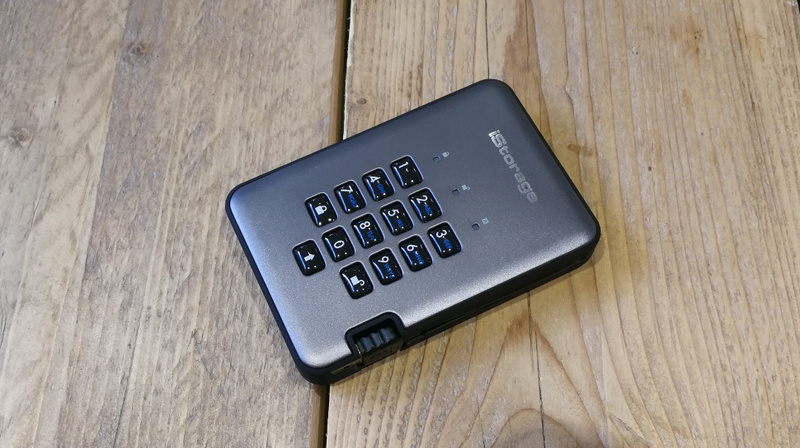 If you are able to get one, however, the diskAshur Pro is unparalleled in both its physical and internal protection, and the compact build and hard-wearing design make this a must-have for the security-conscious. 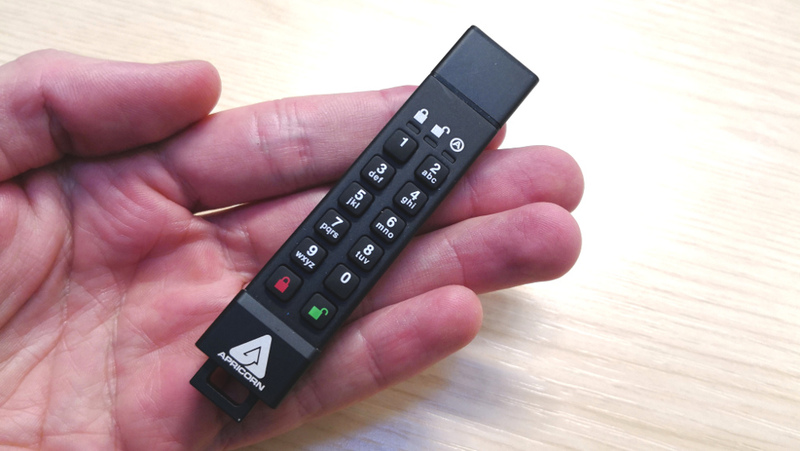 The Apricorn Aegis Secure Key cuts a familiar figure; it does look a lot like the iStorage one but has 60x more capacity while costing about five times more. Comparing it to other secure USB drives, it does come across as being a bit of a bargain if you want to store massive amounts of data although it costs around three times the cheapest 512GB USB drive. The USB drive itself incorporates a full 10-key alphanumeric keypad with two function keys plus three status lights. It then slots into a hardened epoxy-potted rugged aluminum enclosure which makes it dust and waterproof; the device is also certified IP-58 and at 46g and 93mm long is fairly chunky, putting a bigger strain on a device’s USB port than most USB drives. As expected, it comes with built-in hardware encryption (256-bit AES) which means that it is totally independent from the host client and OS-agnostic. No keyloggers and no BadUSB vulnerability. It can be used where no keyboards are present and doesn’t require any drivers or software. It also means that it is powered by a battery which, unfortunately, adds another potential point of failure, especially as it runs rather hot in use. 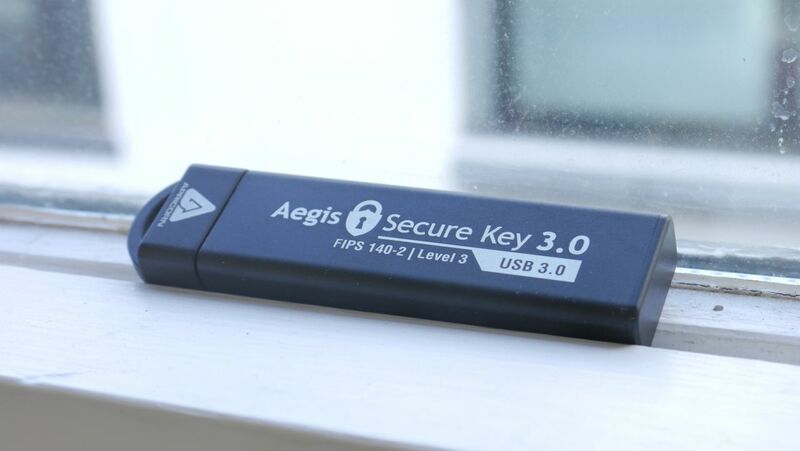 The Aegis Secure Key has also received a FIPS 140-2 level 3 accreditation from NIST, the US-based National Institute of Standards and Technology, which oversees US government IT and computer security. Setting the drive up is the hardest part of the process. There is no factory default PIN so you need to create your own PIN (at last 7 numbers up to 16) to use it. The drive can be configured with an admin PIN and a user PIN, both of which are independent and is a particularly useful option in a corporate setup when multiple units are deployed. The presence of an on-device keyboard makes brute-force attempts difficult and after 20 incorrect PIN entry attempts, the drive automatically deletes the encryption key, rendering the data unreadable. What’s more, it auto-locks when it is disconnected from the host PC or after a set period. Note that it may not work with a USB-hub because of higher power requirements. There is also a read-only mode that prevents the user from tampering with data on the drive. Add in a rated data transfer rate of up to 190MBps/160MBps (read/write speeds) and a three-year warranty and you get a very solid product. 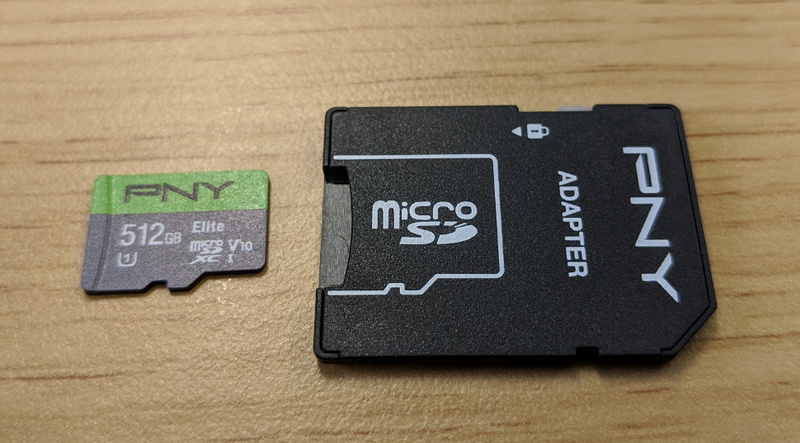 As always, bear in mind that such a device – especially of this size- doesn’t remove the need to have a secure backup; drives – even those with high MTBF - do fail, get damaged or lost. Plug in the Kingston Ironkey D300 (IKD300/8GB) in your computer and the first thing you will notice is that the drive shows up as a CD Drive with a 14.4MB capacity. Surely some mistake! Well, you actually need to initialise the drive before using it for the first on any computer. Note that Kingston strongly advises not to use the drive via a USB hub. Launching the application will request that you create a password (between eight and 16 characters) and will go on to format the drive. You will confusingly end up with two “drives”, one with the initialisation software and the other one being the actual empty drive. Insert it in another computer (Linux, Mac or Windows) and you will be prompted to enter the right password. Otherwise, as for other similar solutions on the market, enter the password wrong 10 times in a row and your content will be erased. As for the drive itself, it is an 8GB model with a zinc casing – which also doubles as a heatsink as the D300 heats up a fair bit under use - and tamper-evident epoxy seal for physical security. With its cap on, it is waterproof (up to 4ft) and dustproof and at 51g, feels solid. More importantly though, the more compelling protection happens inside the device itself. It is a FIPS 140-2 Level 3 certified device with 256-bit AES hardware encryption. There is a hardware cryptographic module inside the device itself which means that the encryption and decryption is done on the drive rather than on the host PC, with digitally signed firmware which makes the D300 immune to the notorious BadUSB exploit. The D300, which comes with a five-year warranty, also offers a read-only option which allows any user, once authenticated, to open and view content on the drive but not change, update or erase the content. 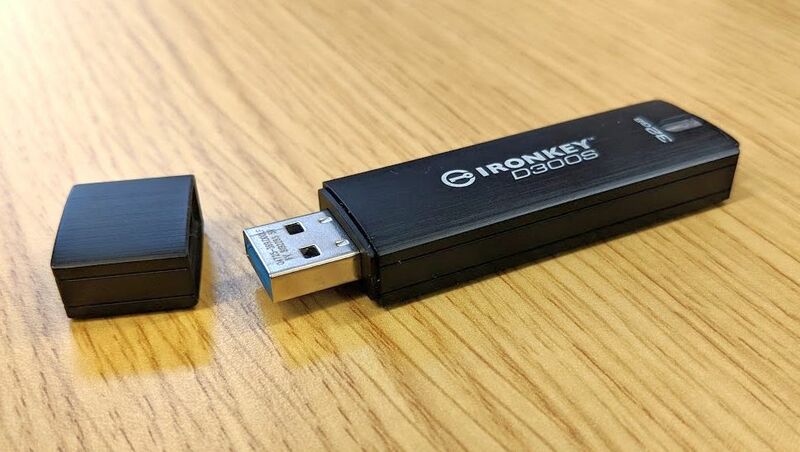 There’s also a managed version of the drive which, as its name implies, allows the drive to be deployed en masse across an organisation but requires Ironkey EMS by Datalocker which allows for the drives to be centrally managed. This allows for drive-specific policies and allows administrators to disable lost or stolen drives remotely and more. The drives are available in capacities ranging from 4GB to 128GB. The rated transfer rates of the drive vary between 80MBps to 250MBps (read) and 12MBps to 85MBps (write) depending on the capacity. Rule of thumb is the lower the capacity, the slower it will be. The 8GB model performed better than expected with CrystalDiskMark benchmark results hitting 237.6MBps and 58.69MBps on Read and Write respectively. The trend for thinner, lighter and more aesthetically pleasing laptop designs gave us the Apple Macbook, a stunningly beautiful device with only one connector, a lonely USB Type-C port. There's a plethora of accessories - adapters and docking stations - on the market to solve that problem though, especially as more and more laptops are following Apple's lead and cutting the number of connectors to a minimum. 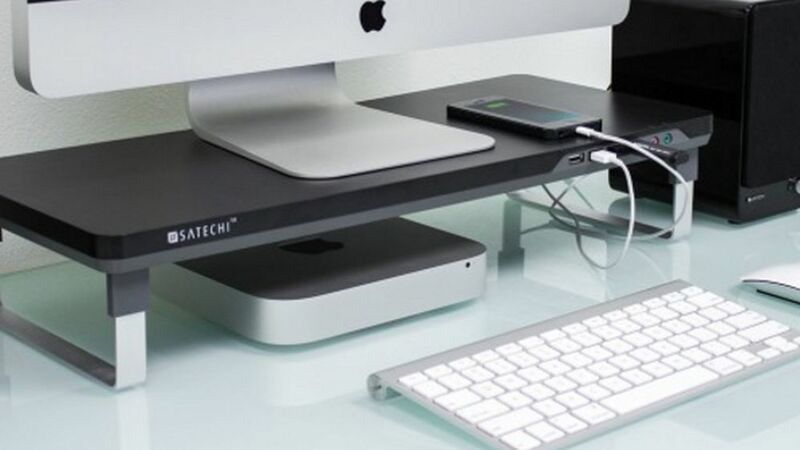 The Satechi Slim Aluminum Type-C Multi-Port Adapter is one of them. 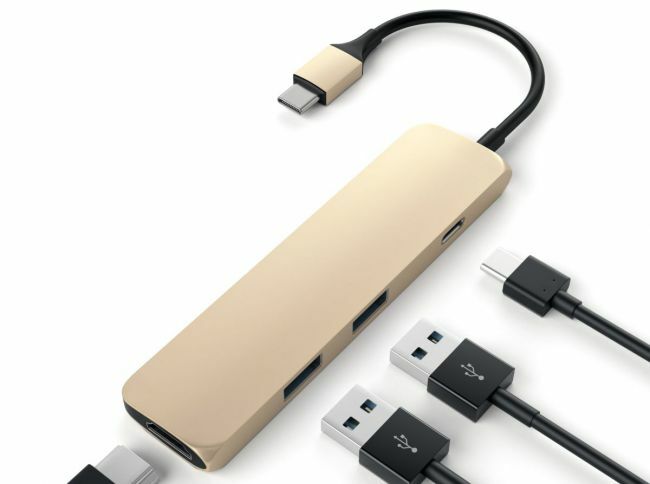 Available in four Apple-friendly colours, this device quadruples the amount of ports of the aforementioned MacBook. There's a pass-through USB Type-C as well as two USB Type-A ports and an HDMI connector capable of supporting 4K video content, albeit at 30Hz - we'd certainly have preferred a DisplayPort. Physically, the device is about 105mm long and comes with a 150mm USB Type-C cable. 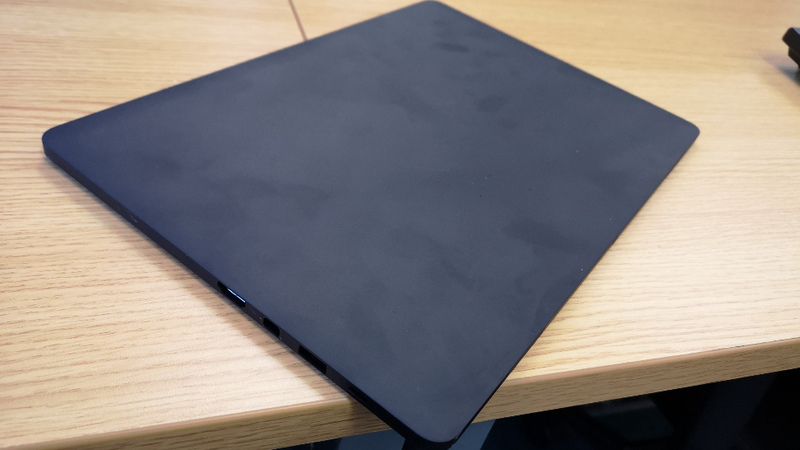 The enclosure is made entirely of aluminium which has a propensity to get scratched and marked when flung around too often.Compared to other products on the market, having a cable is preferable to avoid accidental damage to your laptop's port. Note that each USB port on the Slim Type-C hub can provide 5V/1A (or 5W) and that Satechi advises that the maximum power load on the hub shouldn't exceed 10W, which excludes using it for heavy duty activities (e.g. charging two tablets). The product comes with a one-year warranty. Sandberg's Powerbank is neither the cheapest or the most powerful around. However, it does come with a couple of features that make it a rather enticing option. It outputs to a number of voltages (12V, 16V, 19V and 20V), automatically choosing the right one depending on the device connected to it. There are also two USB ports and these are obviously hardwired to output 5V on both. There are also 12 different charge tips but none would fit my Dell XPS 13, and they won't be useful for USB Type-C models like the Dell XPS 13 2016 edition. There are a couple of things that differentiate this from most of its rivals on the market: it uses a brushed, premium, aluminium finish, with bright blue LED status lights that clearly indicate the amount of juice left or how close the battery is to being charged. Speaking of charging, Sandberg decided to equip the Powerbank with a dedicated input port which allows the device to be charged in record time thanks to a 36W (18V/2A) power supply unit. 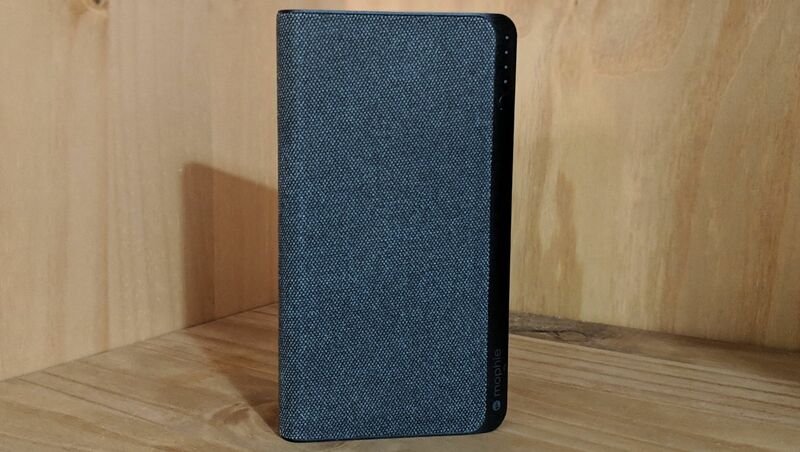 In comparison, the Aukey 30Ah we reviewed recently could only be charged using a 12W USB port which makes charging a lengthy process, often an overnight affair. It also means that you don't rely on your laptop or mobile charger to get the battery replenished. Sandberg has equipped the Powerbank with an automatic 'switch on and switch off' mechanism to save power. It can deliver up to a total of 85W meaning that it can accommodate a massive 70W on its laptop/DC Out port. Note that the device comes with an industry-leading five-year warranty. Quite a lot of Ultrabooks (and even a fair few graphics cards) now come with Mini DisplayPort connection as standard in lieu of the traditional D-Sub or HDMI ports; which can prove to be a pain if you're planning to deliver a presentation at a client's office and they only have a HDMI projector. In theory, Mini DisplayPort – which is popular with Apple - has enough bandwidth to drive 4K monitors at 60Hz (HDMI can only do it at 30Hz) which results in a smoother end-user experience. However, today's product doesn't achieve this (it does reach 4K at 30Hz though). What it does is merely converting the Mini DisplayPort to a HDMI port, all for just over £23 (about $35, AU$45), more specifically from DP m1.2 to HDMI 1.4 without the need for drivers or external power source. Unlike other passive video adaptors, this one offers active signal conversion which means that it doesn't require a multi-mode DisplayPort source signal (like AMD's Eyefinity) which greatly expands its compatibility option. In addition, mDP supports 5.1 Surround Sound out of the box and is compatible with most Intel Thunderbolt devices. You will still need to have a HDMI cable at the other end though. From a distance, it looks like a standard USB cable with a microUSB connector on one end and a bigger-than-average one on the other. But look closer and you will see that it is a mirroring and KM (keyboard and mouse) sharing accessory. The KMC6105 allows you to view and interact with your Android device regardless of the brand and platform (i.e. tablet, Chromecast, smartphone) as well as sharing your keyboard and mouse. 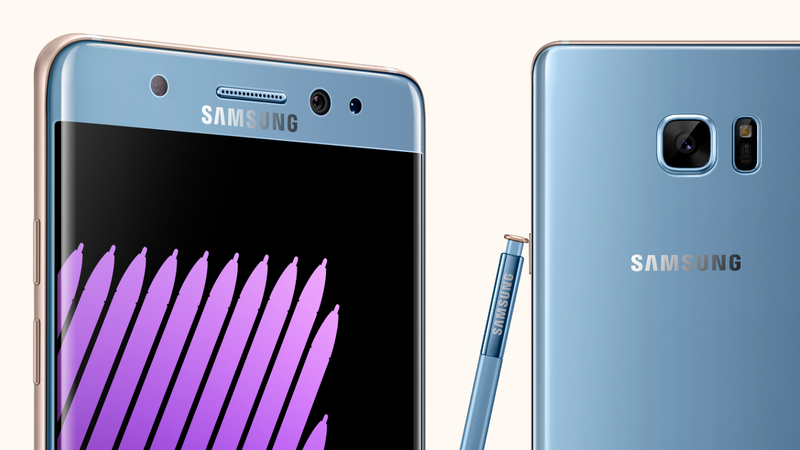 Perhaps more importantly, it charges your Android device while in use, something that the previous generation model did not offer. Unlike that one, it allows you to use your smartphone as an additional screen. It also offers copy/cut and paste as well as drag and drop across the platform. You will need to install a small executable file that is located on the device itself. Otherwise it will only behave like a standard (expensive) cable. You will need to enable Developer Options in newer smartphones by clicking seven times on the "build number" menu. Subsequently, you will need to allow USB debugging which is how the KMC6105 works its magic. The installation process will also download the device's driver where necessary. 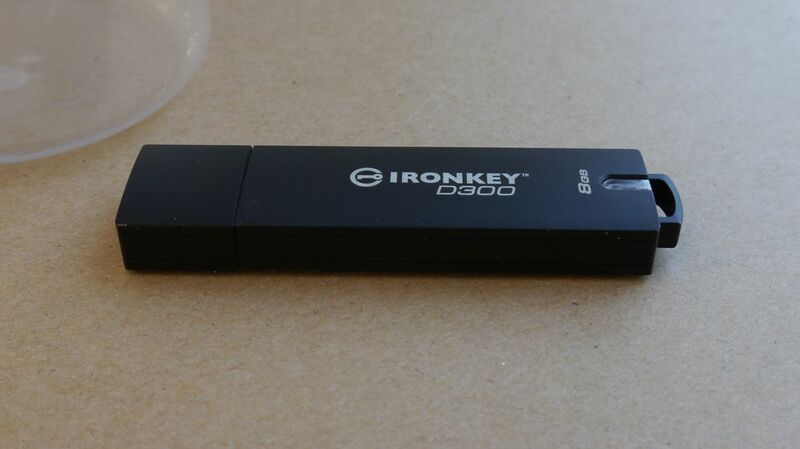 Note that the device carries a standard two-year warranty and is USB 2.0 only. 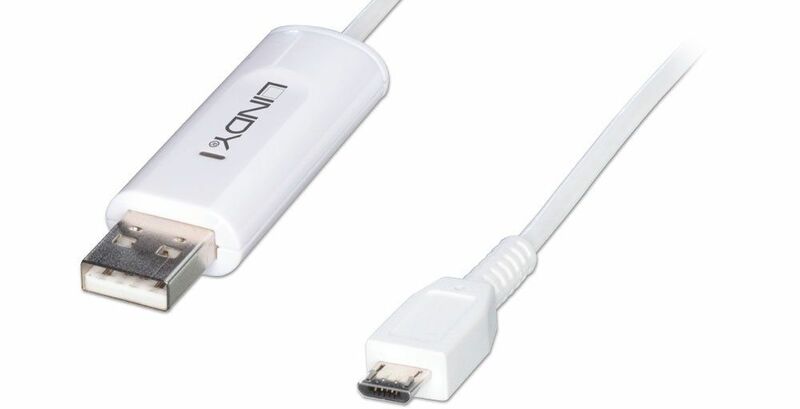 The Android OS Mirroring and KM sharing cable is on sale at Lindy for £24.96. Audio has historically never been a forte for laptops and that hasn't changed for Ultrabooks especially for those at the lower end of the spectrum (one might even say that it became worse). Which is why something like an external sound card comes in quite handy. USB devices in general usually carry a performance penalty mostly because they use the host's processing power. They also have a small impact on the battery life. However, given how powerful the recent crop of Intel-based processors has been, that shouldn't be an issue. The ICUSBAUDIOMH External USB Card lets you add an S/PDIF digital audio output or a standard 3.5mm analog audio connection to your system through USB and essentially adds a 5.1 sound card. The device, which is about the size of a lighter, has two 3.5-inch jacks for headphone and microphone (some Ultrabooks like the Lenovo Yoga 2 Pro only have one port). 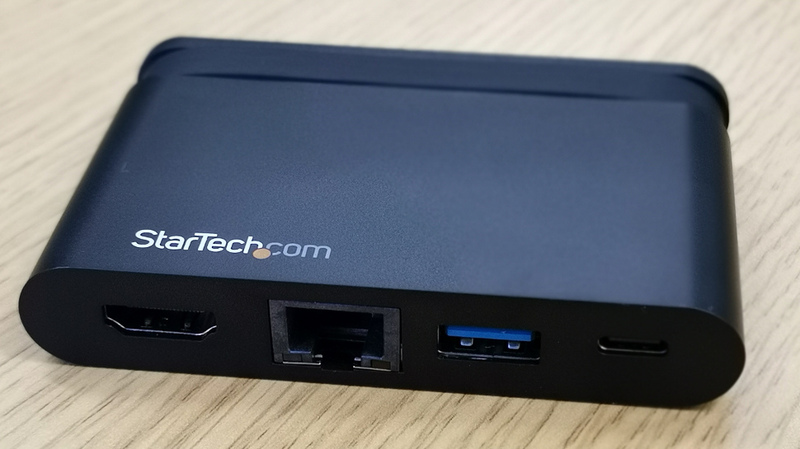 Startech's external card comes at the end of a rather long USB cable, uses a Via VT1630A chipset and is capable of sampling audio at up to 96kHz. Available in black or white, it does support Sony's PlayStation 3 gaming console and comes with a two-year warranty. 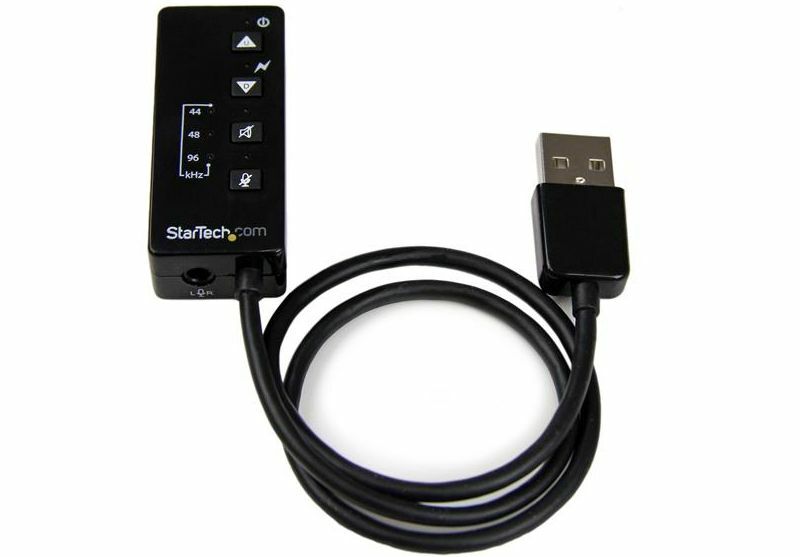 This USB Stereo Audio Adapter External Sound Card is available for sale at Startech.